President Trump's attorney Rudy Giuliani said Wednesday that North Korea's Kim Jong Un got "on his hands and knees and begged" American diplomats to reinstate a planned meeting with Trump after it was canceled last month. The former New York City mayor told The Wall Street Journal that Trump's cancellation of the meeting, which is now back on for the planned date of June 12, forced the North Korean leader into a favorable position. "They also said they were going to go to nuclear war with us, they were going to defeat us in a nuclear war," Giuliani told the newspaper. "We said we're not going to have a summit under those circumstances." "Well, Kim Jong Un got back on his hands and knees and begged for it, which is exactly the position you want to put him in," he added. 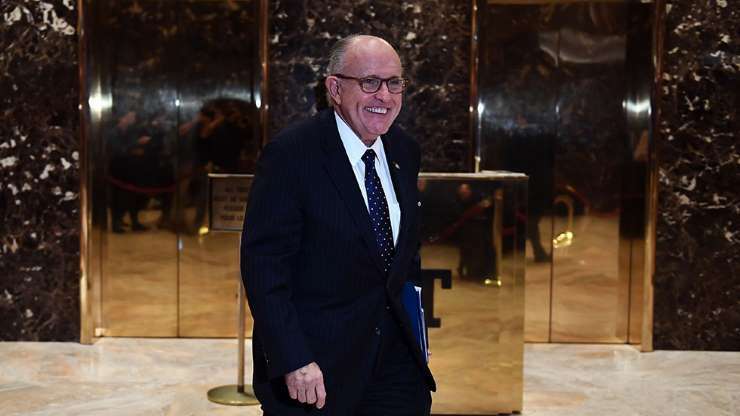 It was unclear whether Giuliani was referring to public statements made by North Korea's foreign ministry or private negotiations between U.S. and North Korean officials. In a May 25 statement, North Korea's foreign ministry expressed a willingness to continue talks with the Trump administration. "We express our willingness to sit down face-to-face with the U.S. and resolve issues anytime and in any format," the statement read. Trump said last Friday that the summit scheduled to be held in Singapore was back on, ending a week of uncertainty over whether the planned meeting would take place. "We're going to be June 12 - we'll be in Singapore. It'll be a beginning," Trump told reporters, adding: "I think we're going to have a very positive result in the end." On Wednesday it was reported that Trump is considering inviting Kim to his Mar-a-Lago resort in Florida for a second summit if all goes well at their first meeting, where the two are expected to discuss different approaches to denuclearizing the Korean Peninsula.